Halloween, Guy Fawkes, Remembrance Day, Thanksgiving and Christmas; there are many festivals to be celebrated now that the colder months are upon us. The Halloween spirit (pardon the pun) was started by a guy at work bringing in themed cupcakes to raise money for charity. I threw a Halloween party which was great fun and dressed as a skeleton whilst my partner was a vampire. 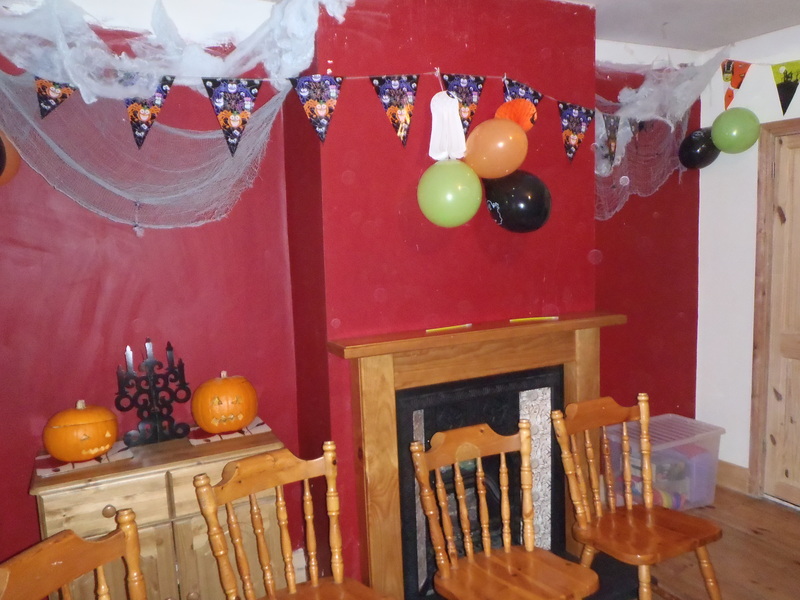 We decorated the house with pumpkins, spider webs and various other bits and bobs to create a kind of haunted mansion. The kids loved the cauldron full of sweets which also contained the odd rubber eye ball (not to be confused with a gob stopper!) 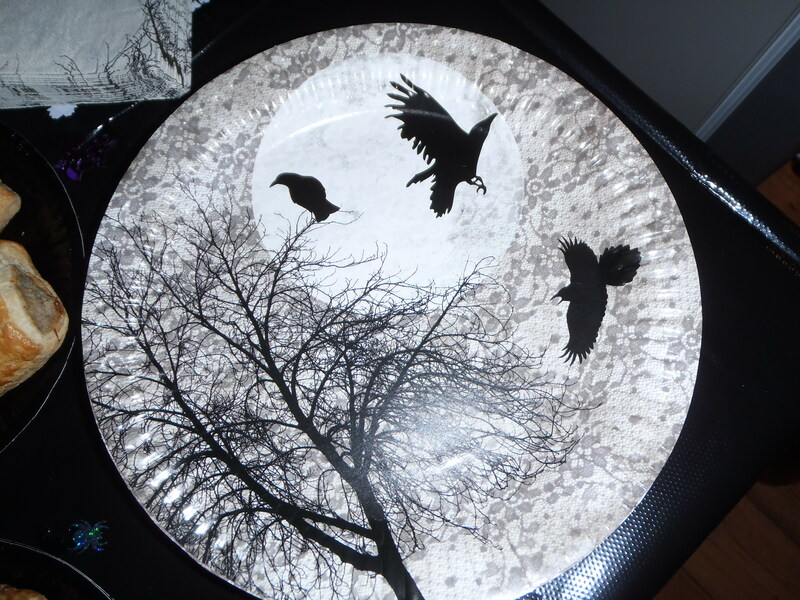 I really liked the plates I chose especially when they appeared in the ‘Fabulous Magazine Lustlist’ after I had purchased them! 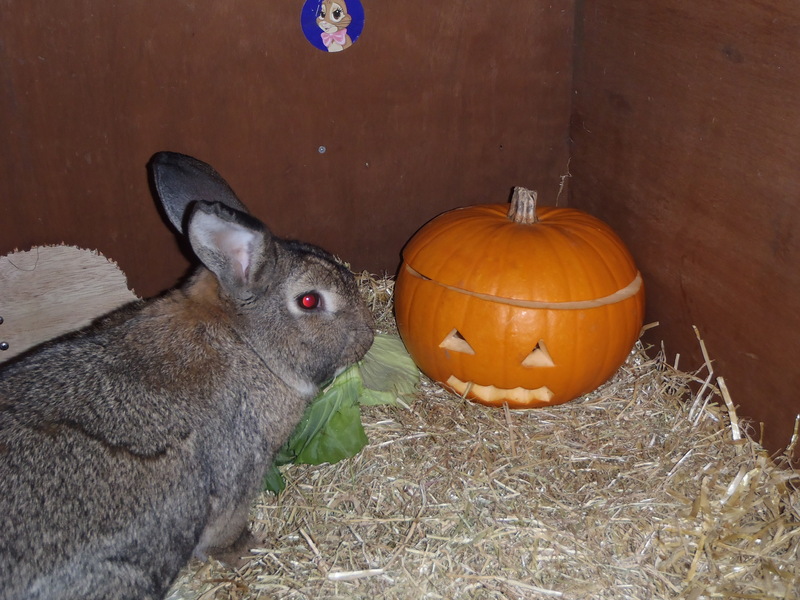 Rufus even got in the Halloween Mood! People often assume that Halloween is more of an American festival but in fact it was the UK that introduced the custom to the United States during the mass Irish and Scottish immigration during the 19th century. The actual origins of Halloween are disputed. Some suggest it has its roots in Paganism with influences of Western European harvest festivals and festivals of the dead whilst others argue it has Christian roots. Those following the first line of thought, link Halloween to the Celtic festival of Samhain which marked the start of winter and the end of the harvest season. It was a time to prepare for the winter and there were various rituals and bonfires. People believed that it was a time when souls of the dead and other mythical beings could come into our world. Some of these beings were thought to be harmful and it may be that people dressed up and carved turnip lanterns to ward them off hence today’s customs of dressing up and jack-o-lanterns. The American’s changed turnips to pumpkins as it was a native vegetable and easier to carve (not sure I agree with that last point though – put it this way the power tools were on standby!!). 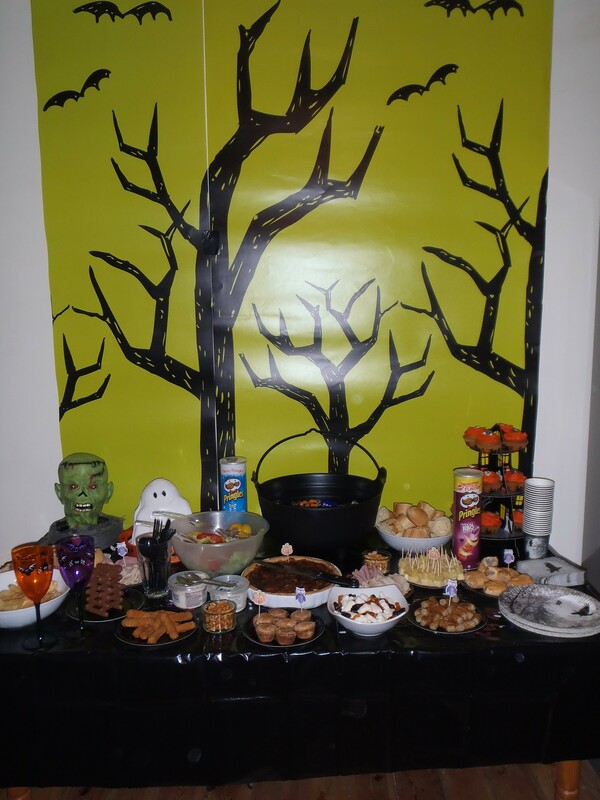 At Samhain youths would also go door to door collecting food and if a household gave food, they could expect good fortune for the winter which may be where the trick or treating tradition may come from. Those who believe Halloween has Christian origins link it to the holy day on 1st November, All Saints Day, also known as All Hallows. They saw it as a time to pray for those recently deceased who had not reached heaven as well as honouring the saints. Those of this belief sight the origins of trick or treating as the practice of ‘souling’ where poor children would collect soul cakes door to door as a symbol of praying for those in purgatory. It was believed that the dead could seek vengeance on their enemies until all saints day when they moved into the next world and that was the reason that people dressed up and made jack-o-lanterns, to protect themselves from these souls. Due to Catholic connotations, during Reformation Protestants were against celebrating Halloween and after the 1605 gunpowder plot to blow up the Houses of Parliament, popularity for Halloween declined in Britain, with far more emphasis being placed on Guy Fawkes Night. Being that I held the party between Halloween and Guy Fawkes, we also had sparklers. This month I signed up to the Moonwalk London to raise money for breast cancer research which takes place next May. The walk was started by a lady called Nina Barough who along with 12 other women took part in the New York marathon in a decorated bra to raise money for breast cancer back in 1996. After that first walk, Nina herself was diagnosed with breast cancer. In 1997 a team of girls entered the London Marathon for the cause. In 1998, such was the response for a team to walk in the London Marathon for a second time that a separate walk was created for the eve of the marathon. From then onwards, the moonwalk has been an event in its own right with popularity growing year after year. Having never done anything remotely physically challenging, I went for the half moon walk which is 13.1 miles; I better get myself in training not to mention purchase some trainers – I think I would struggle to do it in heels! I can’t wait to start designing my bra. Please sponsor me for this excellent cause; details of my fundraising page to follow in a future blog. Last week when I was at the hairdressers I read a very interesting article regarding a new diet called 5:2. Basically you can eat normally for 5 days of the week and for 2 days you fast, eating just 600 calories. (Some internet sites suggest for women this is reduced to 500). This diet was popularised by Dr Michael J. Mosley when he was on ‘Eat, Fast and Live Longer’ documentary in August 2012. There has been research suggesting that not only does the diet work; it can also reduce your risk of Alzheimer’s, Diabetes and Cancer. Conversely though there is some research suggesting it could cause eating disorders. I’m always on the look out for a quick and easy fix to losing weight so I have decided to give it a go. I will let you know the progress weight wise but I have done it for a week now and I must admit the fasting days are difficult and it really opens your eyes to the amount of calories in everything which does make you think twice about what you eat even on the normal days. 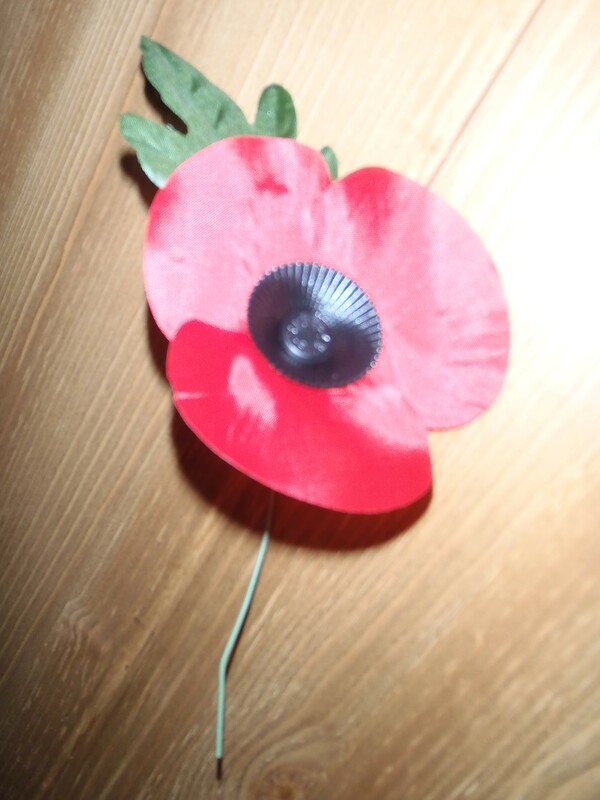 A couple of weeks back was Remembrance Sunday and I wore my poppy with pride as well as observing the 2 minutes silence. I am sure poppy sales greatly increased on 1st November – London Poppy Day when my day was brightened by some very handsome young soldiers coming into the office selling them! The total raised on this day for the appeal was £772,211. Armistice Day is on 11th Nov and commemorates the end of World War One and the signing of the armistice at 11am which ended the war for the Western front. In 1939, the two minutes silence was held on Remembrance Sunday on the first Sunday after Armistice Day in case Armistice Day fell on a week day and interrupted war productions. After World War Two, most events moved to Remembrance Sunday. Both days are now celebrated in the UK. The poppy became the symbol of Armistice Day in 1921 and was inspired by a poem ‘In Flanders Fields’ which refers to poppies being the first thing to grow in the earth of the soldiers graves. The British Legions poppy appeal raises money for those who are serving in wars or have served and their dependants. As a child my Grandma would always take me down to Orpington War Memorial on Remembrance Sunday where there would be parades by the armed forces and Brownies, Guides etc. I remember always wishing my Brownie pack was in Orpington so that I too could have taken part. As we all begin the preparations for Christmas, lets remember those children who are living in poverty and give something back. 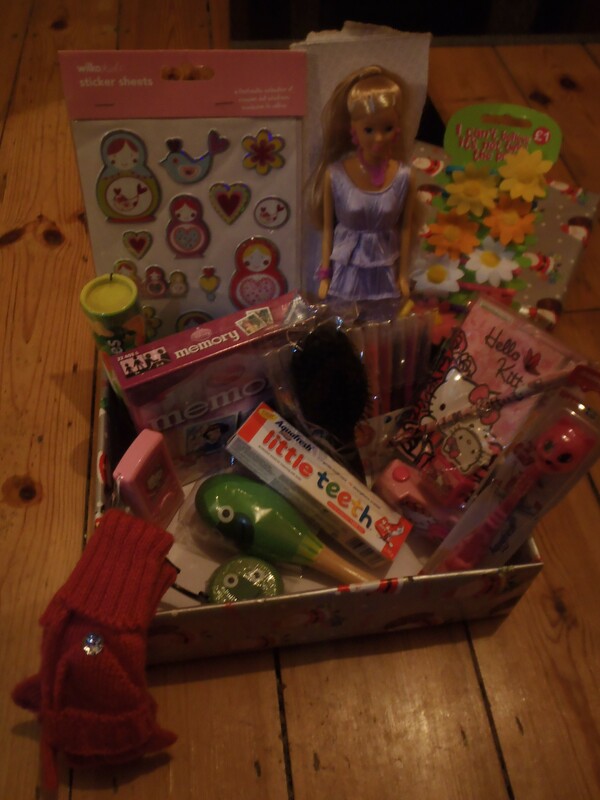 November is the Operation Christmas Child shoe box appeal time. Imagine the joy on a child’s face on Christmas day when they receive a gift of your lovingly put together shoe box. This year I did mine for a girl between the ages of 5 and 9. Check out my blog last year for the history of the shoebox appeal and visit their website for more information. Only 28 days until Christmas so it’s time to start that shopping! Nero’s have released their special Christmas coffees; an amaretto latte and a praline latte so when your feet are sore from dragging round looking for a present for that awkward person to buy for, pop in to take the weight off and indulge. Until next time….